For the past 10 years, I have been studying and getting certified in a variety of energy medicine and energy healing techniques. I began my journey with EFT (Emotional Freedom Technique) or tapping and progressed from there to studying Energy Medicine with Donna Eden, The LifeLine Technique with Dr. Darren Weissman and deepening my EFT studies. I’ve also studied Theta Healing, Chinese Face Reading and Energy Clearing/Space Clearing with Jean Haner and got my certification in Dressing Your Truth (a system of matching the colors and styles you choose to your energy) with Carol Tuttle. It’s pretty clear that energy healing captivated my interest. And the reason is, because it works! In my work as a health and wellness coach, I’ve found that most people with health issues have emotional issues to work out. Once they start addressing both, they recover — start to open up and live joyful lives. There’s more to it than being a successful coach — and it’s the MIND-BODY connection. When we work with someone who helps us engage our MINDS and BODIES in healing simultaneously, we can FEEL better. Feeling better needs to happen in both the mind and body. Anyone who has chronic pain (like I did) can tell you how hard it is to feel joyful when your body hurts. Mind effects body and body effects mind. If you have negative, damaging thoughts for too long, they find their way into your body. Science is already showing this by the studies on stress. We know from science that stress is 80% or more of the reason for doctors visits. We know that stress effects a whole axis from your adrenals (just on top of your kidneys) to your brain (hypothalamus and pituitary). Between these points are all of your digestive and vital organs. And we know from Bruce Lipton (biologist who wrote Biology of Belief) that each single cell in our bodies are affected by our thoughts. Eventually, our mainstream medicine will catch up to ancient medical practices like Ayurveda and Chinese medicine. Our bodies effect our minds effect our bodies. What is Energy Healing and What Are the Benefits? Energy healing is based on the belief that everything is energy. Over the last decade, doctors, scientists, researchers and alternative health gurus have been rediscovering the link between your thoughts and your health. Authors and teachers from a variety of backgrounds like Louise Hay, Bruce Lipton, Dr. Mona Lisa Shultz, Eckhart Tolle, Gary Craig, Dr. Darren Weissman and others have shown us that our thoughts and emotions create our experiences. In a nutshell, our emotions are energy in motion. So what happens when you are stuck in pain, addiction, fear or other limiting emotions? The energy is no longer in motion. It is stuck and you are stuck. Sometimes, it feels like being in a deep, dark hole, with no way out. But there IS a way out. This way out can be aided by getting YOUR energy in motion. So you can be free to move forward AND create the life you want. Free of pain, free of addiction, free of negative thoughts and emotions that limit your experience of life. it’s felt like a miracle to me because the energy becomes unblocked and released. EFT stands for Emotional Freedom Technique (or Emotional Freedom Techniques, as founder Gary Craig calls it). With EFT, you tap on parts of your body that are emotional acupressure points (just like acupuncture, but without the needles!). While you are tapping, you say a series of statements that help you combine mind and body energy to release, forgive and reframe an issue you are dealing with. Whenever I feel that stuck, heavy, triggered feeling, I do EFT and I find that my energy feels like it’s moving all around my body. It helps break up the energy. I’ve sometimes done 3 or 4 rounds of tapping if I’m really feeling stuck — and it’s felt like a miracle to me because the energy becomes unblocked and released. I love EFT because it’s easy to learn and do on your own. It’s fun to work with an EFT practitioner and then you can learn how to create your own successful EFT scripts and do it anywhere & anytime you need to shift your energy. 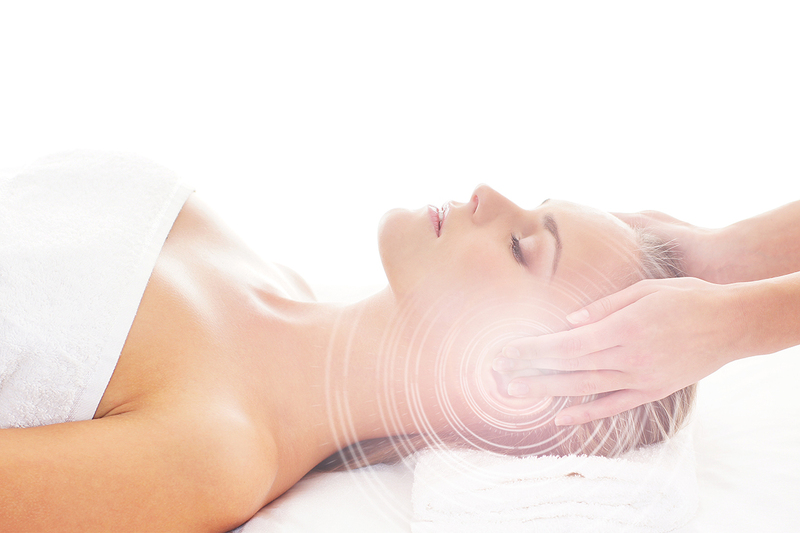 Created by Dr. Darren Weissman, the LifeLineTM Technique is a combination of more than 10 natural healing modalities blended into one amazing healing technique. Dr. Weissman used his international healing experience to create a way to target and release the subconscious suppressed emotions that keep you stuck in pain, fear, illness and addiction. Subconscious suppressed emotions are those emotions you don’t even know you have. They are below consciousness and below choice. It is not because you have no willpower. In fact, you are experiencing suppressed emotions that are buried in your subconscious. You don’t even know they are there. Yet they DO make themselves known and often, it’s through your body or patterns that show up in your life. These symptoms are your body’s way of speaking to you, hoping that you’ll listen and make some changes in your life. As a LifeLine Technique practitioner, I have supported many of my clients in their recovery from phobias, addictions, emotional pain and chronic health conditions. I once used the LifeLine Technique when I started to get the flu. My husband had been sick for a week. I began to get symptoms and immediately did a LifeLine Technique and within 15 minutes the symptoms went away. It’s a beautiful, gentle form of energy healing that works so well! 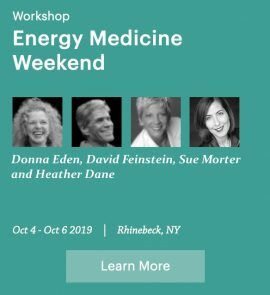 Donna Eden, one of the world’s most respected healers and pioneer in teaching energy medicine techniques has created a system of healing that helps with physical and emotional disorders, creates peak performance and overall wellness. I regularly do her morning energy routine and it keeps me balanced and energized, especially when I travel. 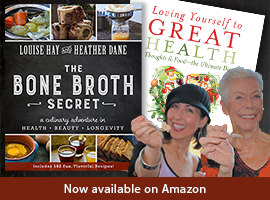 Donna is an incredible teacher and I highly recommend her books and energy medicine classes. NLP stands for Neuro-Linquistic Programming. It is a set of techniques in behavior, attitude and guiding principles that help you eliminate negative beliefs and create the thoughts that will serve you in living joyfully. 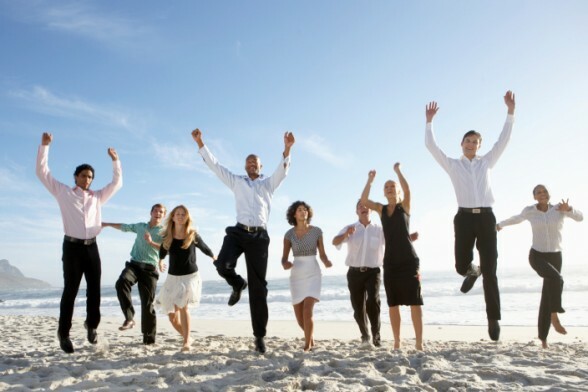 With NLP you basically learn what behaviors, attitudes and principles create success and model them. Most people will find that there is at least one (and probably more!) areas in their lives where they have been successful. You take from the areas where you’ve created success and model them in the other areas of your life — realizing that what we think about something is based on “filters” of past experience. Those filters often limit us from being our best. I have never done NLP myself, but have studied it a bit because it relates so much to the rest of the energy work I am doing. RET stands for Rapid Eye Therapy. While I had heard of this before, I didn’t truly understand it until I started studying with Carol Tuttle . Rapid Eye Therapy is a technique where a certified RET practitioner helps you release stuck negative energy through a series of statements combined with using a wand while you blink your eyes rapidly. During the session, you will move your eyes to different areas to get at the physical, emotional, mental and spiritual centers of your body. There may be other energy work, like aromatherapy and stress reduction while y ou are there. 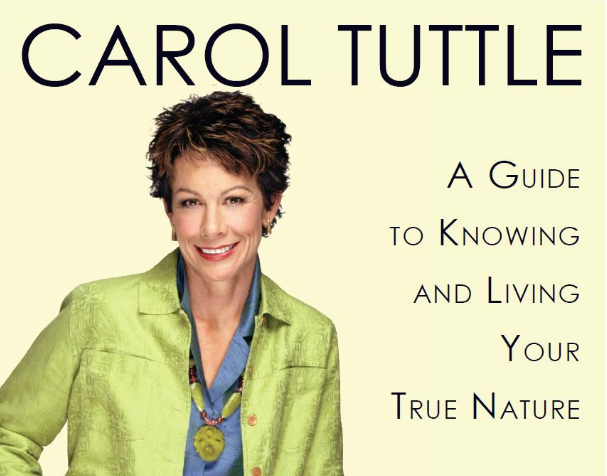 Carol Tuttle is a RET and energy therapist, so a lot of what she teaches incorporates RET. For example, if you go to her website and scroll down to the bottom right, you can find information on “eye patch therapy.” This was my first experience with how our eyes relate to our brains. Putting on an eyepatch, you can calm a part of your brain. When I get anxious or stressed, with swirling thoughts in my mind, I can put the eyepatch (yes, it looks like a pirate eye patch!) over my right eye to quiet my left brain. This also works if you have trouble sleeping. The eyepatches are very inexpensive and Carol sells them on her site. I carry mine everywhere and even bought a bunch to give away to friends! The first medical intuitive I went to was Rhonda Lenair. She is very powerful and helped me get started on my path of recovery. Rhonda is amazing and she always helped me see more of who I was, feeling calmer and more centered each time. If you could see how scared and closed I was when I went to see her (at least it’s how I felt inside…terrified to be living) and how I am now, you’d wouldn’t believe it. She is truly an angel on this earth and I am forever grateful for taking a chance and trusting that seeing her would help me. Sometimes, it takes time for energy work to find it’s way into your system. Your mind-body-spirit starts to clear things and life gets topsy turvy for a bit. At those times, it’s easy to think, “that didn’t work at all.” And yet, as things continue to shift, you find that not only did it work, but it was one of the most profound things you’ve ever experienced. That is the miracle of life. Sometimes the things we don’t see are much more powerful than the ones we do. I encourage everyone to pick a type of energy work that you feel drawn to. Go with an open mind and see what happens. 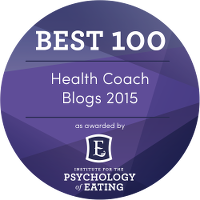 Find a practitioner that someone recommends…I’ve been to some I wouldn’t recommend and others who are amazing! Don’t let the less gifted practitioners ruin it for you — get a referral from someone you trust and try it out! Or start with EFT, which you can learn and do for free. It’s wonderful to work with a practitioner for at least the first session, but after that, go for it on your own! I’d love to hear from you about your experience with energy work. Rhonda Lenair – medical intuitive specializing in healing addictions, physical and emotional challenges and out of balance conditions. Jean Haner – Jean is fabulous at clearing stuck energy, whether it’s an emotional or physical condition. She can also do space clearing in homes and workplaces. I have some really good stories to tell about the incredible results of Jean’s space clearing work! I also highly recommend her Chinese Face Reading classes to learn your true emotional nature and better understand what you need to heal. I am 64, 65 in October. Would like to connect with others for support as I heal my body (gut—all of my GI due to birth defects; lungs—mild emphysema/COPD, and some cardio rhythm—new, stress test and echo soon on Tuesday). Love my docs but love ME more…examining integrative approach starting with the “courage to change the things I can”. Love to hear from you!